The seventh presentation of the Utah Film Center’s Tumbleweeds Film Festival for Children and Youth from March 2-4 promises to be the most ambitious for the Intermountain West region’s only children’s film festival. There are 15 feature-length films, 14 of which are receiving their Utah premieres. The slate represents 12 countries on four continents. There are hands-on workshops for children focusing on virtual reality, producing sound effects for film and makeup as well as activities for elementary and high school teachers. Patrick Hubley, artistic director of the Utah Film Center who also is involved with programming the Kids section of the Sundance Film Festival, says he does not go for a particular theme in curating the films other than an appreciation for stories that treat their young audiences as curious, intelligent, insightful viewers. Animated films shine not only in narrative but also visual technique. Likewise, Hubley and the programming committee throw the window open to look for common or universal characters, events and situations in films from around the world. 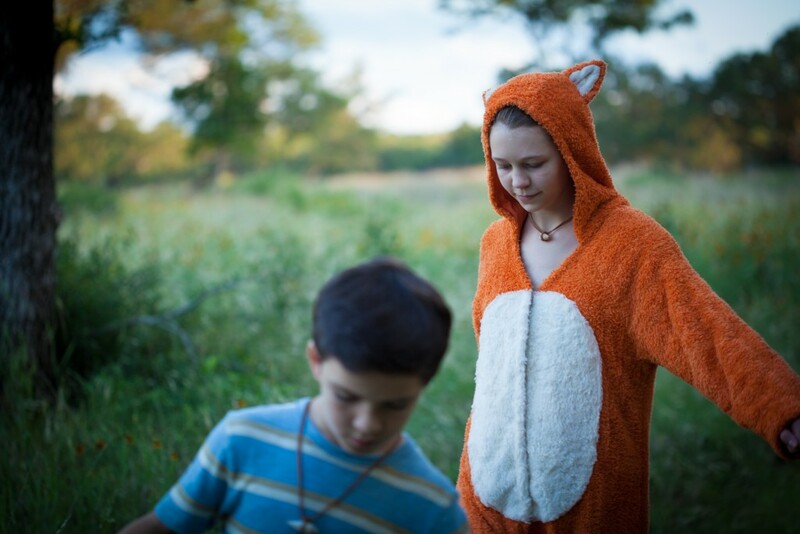 Felix the Fox (Delaney Wingrove) follows Thomas Bryce Gheisar through the Who Knows forest. Photo Credit: Lisseth Lopez. If any theme is to be discerned from this year’s slate, it is empathetic enlightenment and empowerment. When children are listened to carefully, their thoughts are taken seriously along with their emotions. Some films blend fantasy and realism elegantly. This is something not consistently discoverable in Hollywood’s commercial offerings for kids. However, the most significant development is that with the exception of the opening night screening at the Rose Wagner Center for Performing Arts – the festival’s main location for previous years – Tumbleweeds screenings and activities will take place on Library Square. And, the Utah Film Center is collaborating with The City Library, The Leonardo, the Utah Museum of Contemporary Art (UMOCA) and the Utah Museum of Fine Arts. 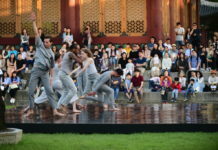 It’s part of a new City Library initiative to leverage the Library Square’s space as a cultural focal point for the community throughout the year, in addition to the annual Utah Arts Festival held during the summer. Thus, screenings will take place in the City Library auditorium, among the most commonly used venue for the center’s annual schedule, as well as The Leonardo. Tumbleweeds Clubhouse activities have been expanded to more than 20 craft and technology activities in the Library’s Urban Room (the main floor lobby) and The Leonardo’s Atrium in the front entrance of the museum. Clubhouse activities, which will be free for all Library Square patrons, include virtual reality grams provided by Playful Corp., do-it-yourself puzzles from Salt Lake City Maker Faire and Indonesian shadow puppets with the Utah Museum of Fine Arts. UMOCA will present an installation, the Space Suit Series, which will be located in the Library’s Urban Room lobby. The installation – sort of an extraterrestrial interpretation of the Noah’s Ark biblical tale – comprises sculptures of space suits made for humans and small animals, created by Christopher Kelly, who is inspired by science fiction films of the late 1970s and early 1980s. The films are suitable for ages 4 and up. In all instances where films are foreign and subtitled, the film center has recruited narrators who will read the subtitles through headsets that will be available for every child visitor. This has become a popular feature in previous years and Tumbleweeds is believed to be the only children’s film festival in the U.S. that provides this service. In other venues, narrators read the subtitles aloud during the screening of children’s films in international languages. A late addition is Science Fair, directed by Cristina Costantini and Darren Foster, which screened in the Kids section of this year’s Sundance Film Festival. The film, which will close out this year’s Tumbleweeds festival at a Sunday evening screening in The City Library auditorium, won Sundance’s inaugural Festival Favorite Award. The opening night screening sets the prevailing mood and theme for this year’s Tumbleweeds, which will include an appearance by Micah Barber, who made his directorial debut with Into The Who Knows! The setting is a familiar one: a pre-adolescent boy, who feels no one seems to be listening to him including his well-intentioned parents, is apprehensive about going to summer camp. And, his parents insist that he cannot take his beloved stuffed animal and best friend, Felix the Fox. In his adventures, Felix the Fox is a “real friend” (and, played in human form) but soon the boy realizes even in the magical environment of the Who Knows forest that he can learn to grow out of his awkwardness and gain confidence. With two film festival awards in its portfolio, the film is a solid, thoughtful entertaining feature that blends the lines of fantasy and real-life in credible ways that will resonate with children and adults. Edhel (Marco Renda, 2017, Italy, 84 mins., recommended for ages 8+, Italian with English subtitles) – 10 a.m., The Leonardo. Italy typically has not been on the list for potential films for Tumbleweeds but Edhel is a fine choice that finds a worthy narrative interstitial space between fantasy and realism. Edhel is aloof, introverted and suspicious, as the young girl still grieves for her father who lost his life in an accident. She seems happiest when she is riding horses but she also keeps herself hidden in a hoodie, despite pleas by her mother and her teacher to remove it. 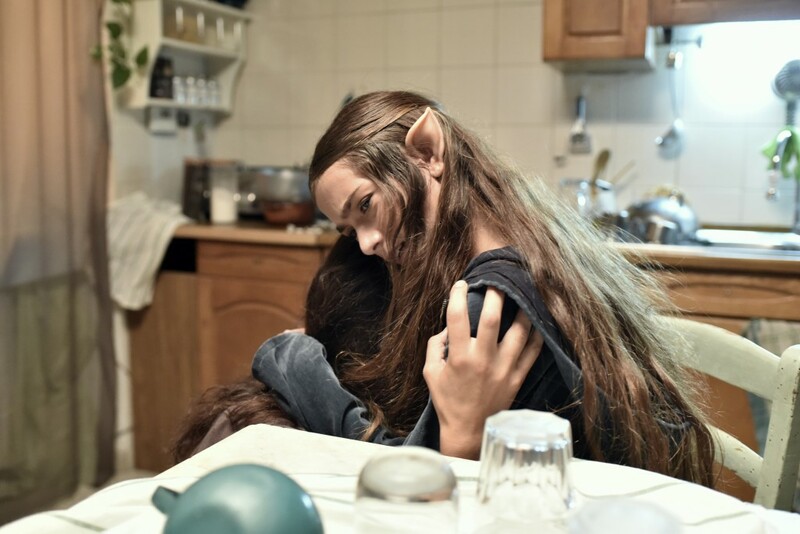 Edhel has ears that resemble those of an elf and her mother has arranged for surgery to remove them but then the young girl hesitates about going forward after meeting the school janitor who tells her that she is a chosen mystic. 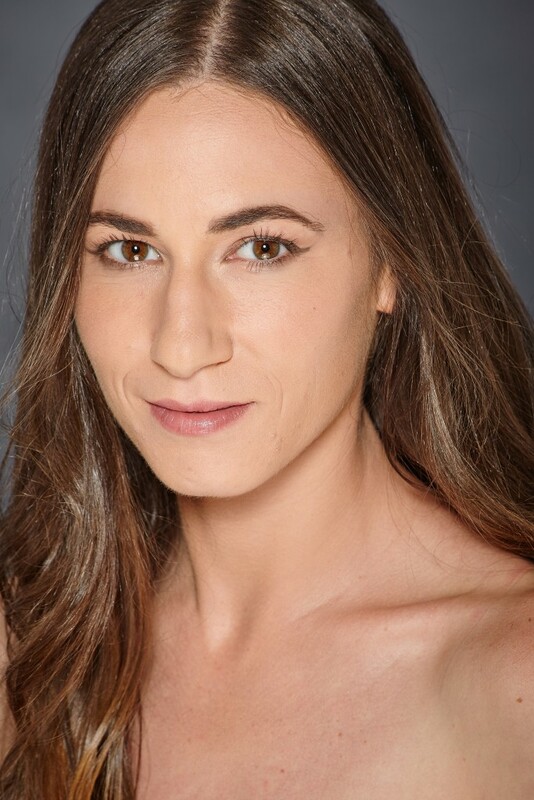 It’s a well-written and well-acted story that puts forward elucidating experiences about the coming-of-age struggles in which the young girl struggles to find true friendship and in which the mother understands what it means for her daughter to try to cope emotionally with the loss of a beloved father. 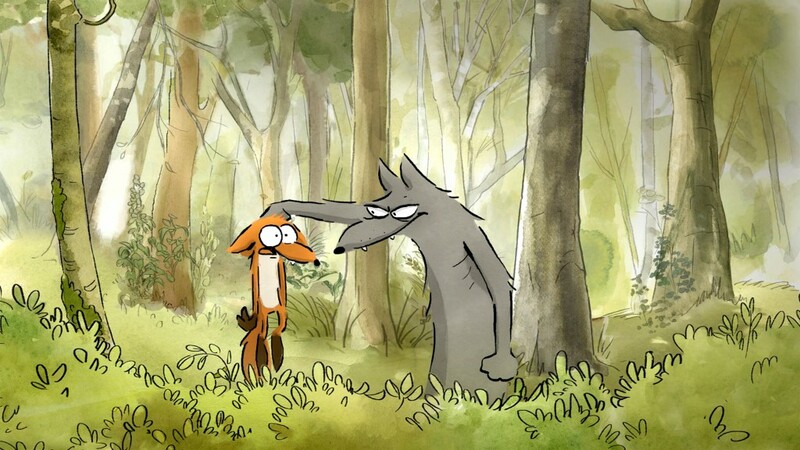 The Big Bad Fox and Other Tales (Benjamin Renner and Patrick Imbert, 2017, France/Belgium, 83 min., recommended for ages 4+, French with English subtitles) – Noon, The City Library auditorium. The 2017 winner for best feature film for children at Ale Kino! – International Young Audience Film Festival and a favorite at the Toronto International Film Festival among enthusiasts of animated films, this is a sure charmer for Tumbleweeds’ youngest audience members and equally entertaining for their parents. It’s an anthology of three stories taken from a popular comic featuring a variety of animals portrayed as anthropomorphic characters. The stories are linked to each other throughout the film. Three animals decided to help a stork deliver a baby while a fox ends up being the mother to chicks and the three characters return from the first story (pig, duck and rabbit) in a quirky concluding tale about the duck wanting to become Father Christmas. 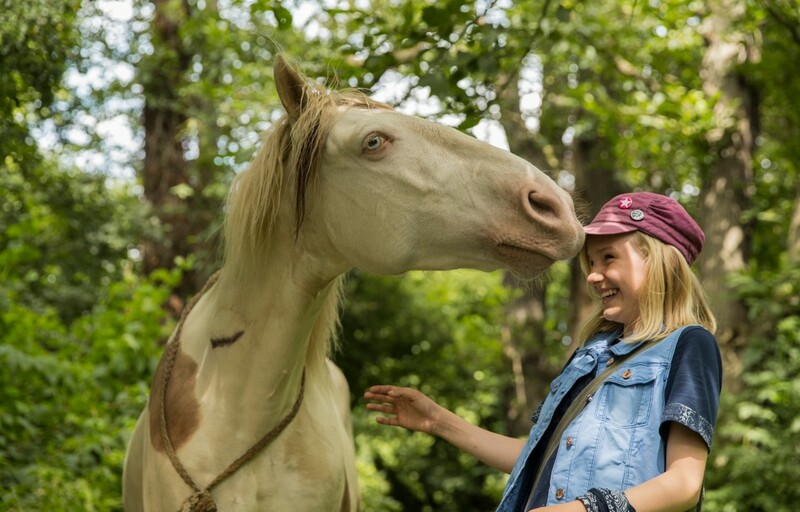 This film introduces Utah audiences to a German cultural phenomenon – the Wendy magazine that has been popular for more than 30 years among young girls who love horse riding and equestrian sports. In a story line that in many respects is a stripped down children’s version of the 1998 film The Horse Whisperer, Wendy, 12, has lost her confidence with horses after a fall a couple of years back but then she slowly regains her assurance when she encounters a horse that is scheduled to go to a local slaughterhouse. The strongest aspect of the film is the sincere treatment of Wendy as a serious character and is worthy especially of children who enjoy the recreational and competitive aspects of horse riding. 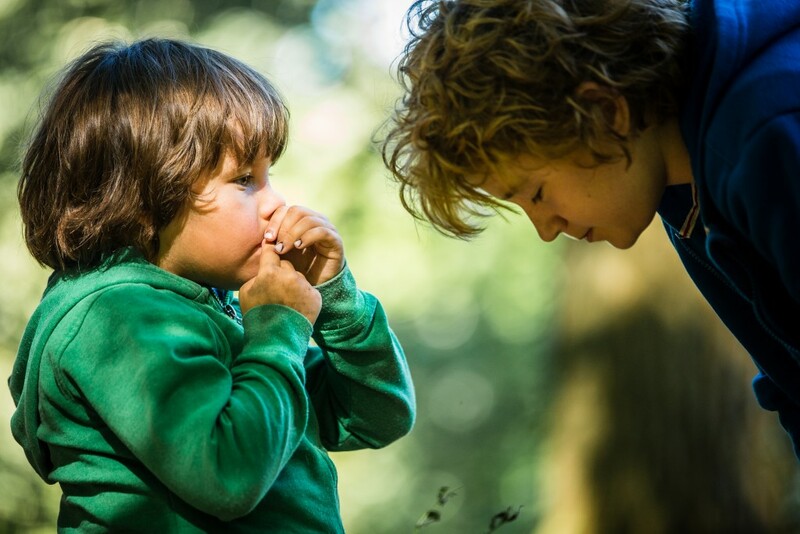 Cloudboy (Meikeminne Clinckspoor, 2017, Belgium/Sweden/Norway/Netherlands, 78 mins., recommended for ages 8+, Dutch, Swedish, Sami with English subtitles) – 2:30 p.m., The City Library auditorium. 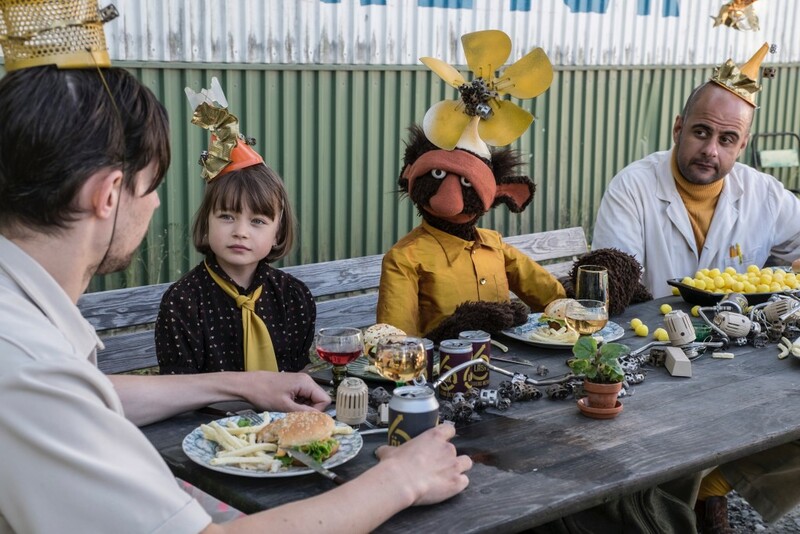 For a family adventure film that is the directorial debut of Meikeminne Clinckspoor, Tumbleweeds audience members once again will see a film that blends well elements of fantasy and realism amid solid location scenes in Norway and Belgium. A young boy living with his father in a Norwegian town is sent to visit his mother, of whom he knows little about, in the more isolated Lappland region bordering Finland and Sweden. He struggles with his new surroundings until he accompanies his sister to a magical wooded area nearby where he is transformed into Cloudboy. The film took honors last year as the Best Film in the Adult Jury Awards of the Toronto International Film Festival for Kids and at the Kristiansand International Children’s Film Festival. Up in The Sky (Upp I Det Blå) (Petter Lennstrand, 2016, Sweden, 82 mins., recommended for ages 6+, Swedish with English subtitles) – 5 p.m., The City Library auditorium. This film packs a good bit of quirky humor that ironically might even hit more effectively with older audience members. Pottan, 8, is headed off to a pony camp for the summer but her parents drop her off at the wrong location – a recycling plant occupied by humans and puppet characters. Pottan initially is upset and tries to reach her parents but when she realizes that this unusual crew is working to launch a spacecraft that seems unworthy to make it into orbit, she decides to stay. Naturally, her parents are unaware, believing that she has become too wrapped up in camp activities. The story is imaginative, even in its utmost ridiculousness, but the film’s saving grace is the chemistry that emerges between the puppets and human actors. In some respects, it’s a throwback to an experimental genre of children’s programs that were popular in Sweden more than 40 years ago. It took best children’s film honors at the Zurich Film Festival. Unquestionably, one of the strongest offerings in this year’s Tumbleweeds slate, At Eye Level has earned at least a dozen awards at major festival venues including the Ale Kino! – International Young Audience Film Festival, the Children’s Film Society in Bangladesh and events in Luxembourg, Minsk, Munich and Mumbai. A well-conceived look, supported by excellent acting, at bullying, acceptance and self-esteem, the film deals skillfully with the challenges of overcoming preconceptions from two key perspectives. One is a pre-adolescent orphan boy and the other is the man, whom he believes to be his father. The boy anticipates the reunion up until the point when he discovers the man is barely the boy’s height. The boy tries to cope with the ridicule from his friends but he also is embarrassed to discover that the man who might be his father is already shorter than him. Similarly, the man wonders just how sincere his friends and colleagues are, believing they only engage with him because of guilt-directed feelings of pity. He is the coxswain for a rowing team. Despite the film’s all-too-neat ending, At Eye Level sustains its value as an astute look at how we see role models and expectations of masculinity, along with the challenges of dealing with harassment because of differences that defy our generalizations about what normal means. Big Fish and Begonia (Xuan Liang & Chun Zhang, 2016, China, 105 mins., recommended for ages 12+, Mandarin with English subtitles) – 7:30 p.m., The City Library auditorium. A full-blown visual feast of artistic animation, the film, a blended narrative that reminds slightly of Avatar and traditional ghost stories, opens in a mystical realm populated by magical creatures where Chun is about to celebrate her 16th birthday. As part of her transition to adulthood, she must go to the human world in the form of a red dolphin and meets up with a boy who saves her from danger but unfortunately dies. Chun hopes to resurrect him. It is a sophisticated animated film that captures with enchanting, impressive imagery. A perfect family selection for Sunday morning, Louis and Luca – The Big Cheese Race is a witty delight rendered in high-quality stop-motion animation that wisely balances digital and traditional techniques. The movements of characters are impressively fluid. Louis, a proud magpie, and Luca, the incessantly nervous hedgehog, team up with Alfie, a genius of an inventor, as two villages decide to bring back the ancient tradition of a cheese race. Their competitors are the owner of a dairy plant who has many tricks in his toolbox. The story moves quickly and there is enough zany flavor to keep audiences alert. On Wheels (Sobre Rodas) (Mauro D’Addio, 2017, Brazil, 72 mins., recommended for ages 10+) Portuguese with English subtitles) – 12:30 p.m., The City Library auditorium. One of the strongest examples of an intelligent film for children that also propels the narrative in an ideal timeframe, On Wheels focuses on Lucas, 13, who is confined to a wheelchair after being hit by a car, and his classmate and friend, Lais, who is determined to locate her father whom she has never seen. D’Addio’s film, his debut as a director, is solid on all accounts. It took honors last year at the Rio de Janeiro International Film Festival and was screened at the Toronto International Film Festival for Kids. Lais decides to ride her bike through the Brazilian rural landscapes to locate her father. And Lucas, whose wheelchair has been retrofitted with a motorized wheel that operates like a bike, joins her. The film is a marvelous study of a deepening friendship between two teenagers and their resilience to not let any barriers thwart their purpose. 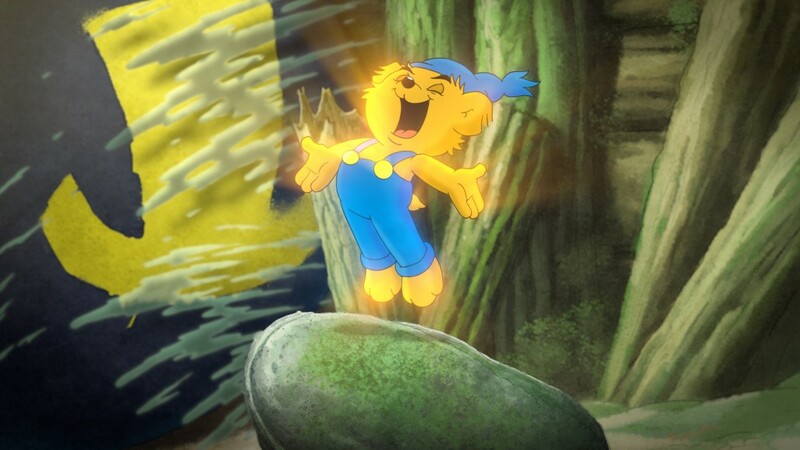 Bamse and the Witch’s Daughter (Bamse och häxans dotter) (Maria Blom & Christian Ryltenius, 2016, Sweden, 65 mins., recommended for ages 4+, Swedish with English subtitles) – 1 p.m., The Leonardo. This animated film highlights one of Sweden’s most popular comic book characters – Bamse who holds the title as the world’s mightiest bears. Croesus Vole has discovered gold in the dam beavers have built but to proceed with mining, he convinces the witch’s daughter to conjure a spell to make Bamse disappear. Now, the challenge of saving the dam is left to the children, who apparently have never been friendly to each other. The Day My Father Became A Bush (Toen Mijn Vader Een Struik Werd) (Nicole van Kilsdonk, The Netherlands, 2016, 90 mins., Dutch with English subtitles) – 3 p.m., The City Library auditorium. The film is based on a 2011 book of a similar title by Joke van Leeuwen, a prominent Dutch children author. There is a certain idiosyncratic tone in the general story, which is about a war in the southern part of a fictitious country that has broken out between The Ones and the Others. In fact, the film was shot in Croatia, which recently had experienced its ample share of war’s strife. The title references the father of Toda, the young girl at the center of the story. A talented baker, the father must go to war and he explains why soldiers use camouflage during the battle. Meanwhile, Toda is determined to find her mother, who lives in a neighboring country (a point that never is fully clarified why she is living separately but it also does not affect the impact of the narrative). It becomes a worthy tale about what children experience when their routines suddenly are uprooted by war and what it means to be a refugee. And, there are plenty of realistic elements mixed in with the abstract frame which leaves the time and place of action open to anyone’s imagination. The driver who is carrying refugees demands extra money from them, even though they already had paid in advance. She meets a young blond-haired boy who apparently has no one. In the journey, the children meet adults who appear benign and inattentive to their emotional concerns or well-being. In one scene, refugee children are instructed to express their thanks for broken toys they receive. The film carries enough substance to be a thoroughly enlightening viewing for adults as well as children. Esteban (Jonal Cosculluela, Cuba and Spain, 2016, 90 mins., recommended for ages 8+, Spanish with English subtitles) – 3:30 p.m., The Leonardo. A moving film that elevates a simple story to an elegant testimony of empathy and pure artistic passion, Esteban is about a nine-year-old boy who hawks sundry beauty products and packets of noodles with his mother on the streets in Cuba. The boy’s father is separated from the family. He works in a bar where he serves watered down rum and cares little for the well-being of the mother and the boy. One day, Esteban hears the music from a house occupied by a retired piano professor and musician. The ailing old man is stubborn at first but slowly warms to the boy, who has perfect pitch, and despite protests from the boy’s mother, prepares his new student in the hopes that he can qualify to study at the music conservatory. The film, a debut by Cosculluela, has earned several honors, including from Huelva Latin American Film Festival and The Platino Awards for Iberoamerican Cinema. The film does not sanitize the circumstances. Esteban often feels ashamed to the point in one scene when he tells his mother that he does not want to be like her or his father. The film also illustrates the precariousness of the mother’s economic plight in utmost realism. But, the story’s strongest element is how Esteban’s persistence about becoming a pianist cannot be ignored or diluted. In addition to solid acting among all characters, especially in Esteban, the music heard is performed on the sound track by Chucho Valdés, one of the many masters who are Cuba musicians. Room 213 (Emelie Lindblom, 2017, Sweden, 80 mins., recommended for ages 12+, Swedish with English subtitles) – 5:30 p.m., The City Library auditorium. 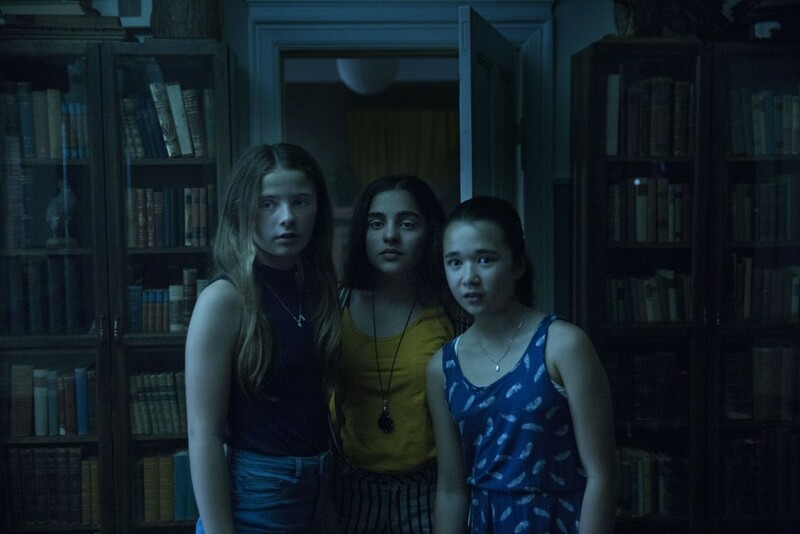 An excellent supernatural tale that won honors as the best feature film for the ages 11-13 group at the Toronto International Film Festival for Kids, Room 213 centers around three girls at a summer camp – Elvira, Meja and Bea – who are staying in a room that has not been occupied for at least 60 years. Their friendship is tested repeatedly by unexplained events, which appear to be affecting Elvira the most. These include items that go missing which makes some suspect they have a thief in the group. And, there are inexplicable text messages. The girls finally decide to collaborate on discovering what’s behind the unusual occurrences. In some respects, the film is reminiscent of a 1980 Disney classic, The Watcher in The Woods, about two girls who begin to explore the mystery of a missing child in the English countryside surrounding their new home. Room 213 is an excellent film that achieves a sense of eeriness and horror without resorting to gratuitous elements. The documentary focuses on nine students, each with remarkable and unique stories that go deeper than their fascinating engagements with the subjects of their science fair projects. At a South Dakota high school, a Muslim girl forges a surprising bond with her teacher, the head football coach who realizes that he does not fully comprehend the level of science she is undertaking but takes his role as mentor as seriously as he would in motivating his team players to excel. 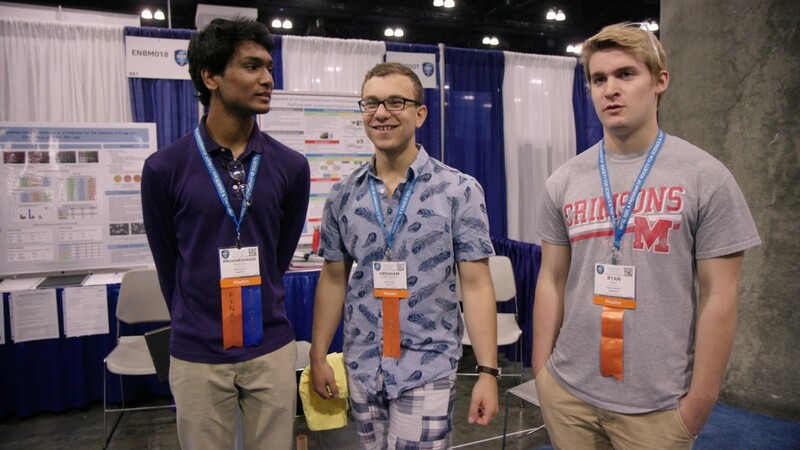 Science Fair is a well-timed and well-placed documentary as schools, communities and large research associations and organizations for science education continue to improve their efforts of making science and technology more accessible and more appealing to a diverse generation of students. And, it’s a great closer for an impressively diverse slate for Tumbleweeds. For tickets and passes, see the Utah Film Center’s Tumbleweeds’ web page.